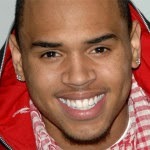 Chris Brown has released the video for another song of His eagerly anticipated X album. The singer debuted the video for Don’t Be Gone For Too Long on Saturday, and it features singer Ariana Grande. Brown shared the video over Twitter, along with the note that he directed it. “Wanted to do something different,” he said.